Minister for Training, Skills, Innovation, Research and Development, John Halligan TD has announced an investment of €43 million in 26 research projects through the SFI Investigators Programme. The 26 research projects will support 94 research positions over the next five years. 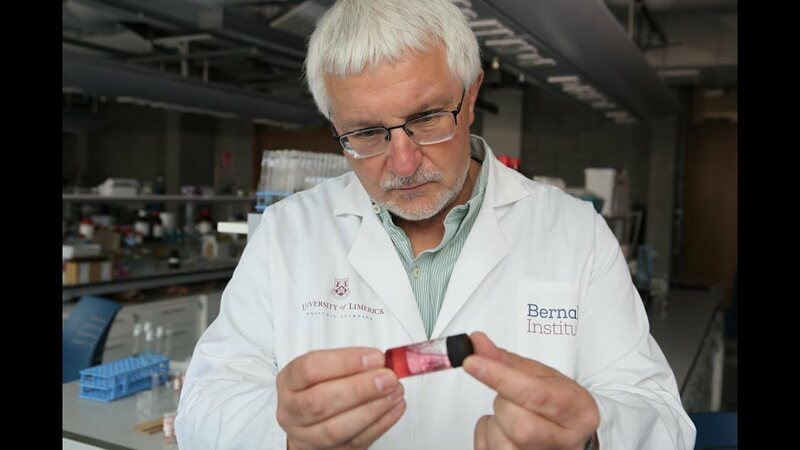 Professor Michael Zaworotko of the Bernal Institute received an award to investigate Green Adsorbents for Clean Energy. Professor Zaworotko currently serves as Bernal Chair of Crystal Engineering and Science Foundation of Ireland Research Professor at UL. Professor James Gleeson and his team in UL will develop new mathematical models to help revolutionise the understanding of how information spreads online. UL's Dr Sean Fair has also received an award as part of a multidisciplinary group with Teagasc and University College Dublin to revolutionise dairy cattle breeding through the application of state-of-the-art technology. Under the Science Foundation Ireland Investigators Programme, 26 research projects will be funded through ten research bodies, as follows: Dublin City University (2), Dublin Institute for Advanced Studies (1), National University of Ireland Galway (2), National University of Ireland Maynooth (2), Trinity College Dublin (9), University College Cork (3), University College Dublin (3), University of Limerick (2), Teagasc (1) and Royal College of Surgeons Ireland (1).